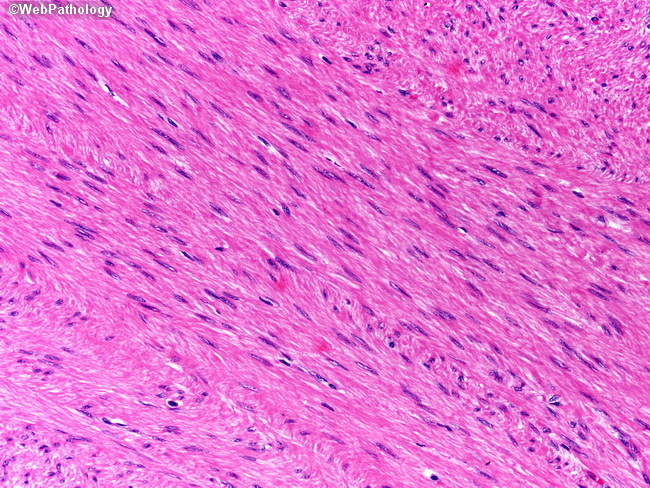 Leiomyoma cells have long, slender nuclei, with blunt ends. Their cytoplasm is abundant and eosinophilic. They express desmin and smooth muscle actin by immunohistochemistry and are negative for the GIST markers CD34, CD117, and DOG1.